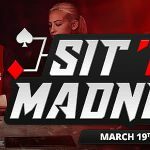 Sites on the iPoker Network are hosting two Arthurian-themed, mission-based promotions during March offering players the opportunity to share in €135,000. With the Spring Solstice approaching, the iPoker Network has chosen the legend of King Arthur and the Knights of the Round Table to be the theme for its March mission-based promotions. As in previous months, players will be rewarded with entries into daily and weekly All-In Shootout events in the €85,000 “Camelot Quests” promotion, and a further €50,000 in prize money is up for grabs in the progressive “Path to the Holy Grail” promotion. 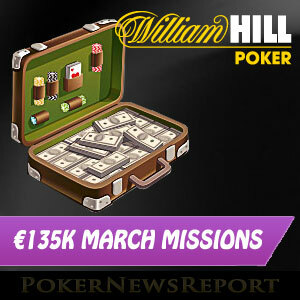 In a slight change to some of the mission-based promotions hosted by the sites on the iPoker Network, all of the cash game missions must be completed on tables of NL Hold´em (including Speed Poker) with a minimum blind level of €0.05/€0.10. This means that games of PL Omaha and 6-Plus Poker are excluded from the promotion, as are all heads-up games of NL Hold´em. There is no MTT daily mission option as there was last month. Some sites on the network may also have depositing or other requirements. The “Camelot Quests” will be familiar to anybody who has participated in an iPoker Network mission-based promotion previously. The “quests” consist of daily missions that reward players on their completion with a ticket to a €1,000 All-In Shootout. Players who complete three missions within a week receive a ticket to a €10,000 All-In Shootout the following Sunday, for which a second ticket can be won by completing five missions. The “Path to the Holy Grail” is a cash game only challenge that consists of completing a specific mission a number of times before moving onto the next stage of the challenge. The next stage will also have a specific mission that needs to be completed a number of times before moving onto the following stage. Confused? The table below explains the concept of the promotion a little better. Practically all of the sites on the iPoker Network will be running the “Camelot Quests” and “Path to the Holy Grail” promotions until Sunday 2nd April. However, before registering an account at the first iPoker site you come across, it is a good idea to compare their first deposit bonuses to ensure you are getting the best deal for your money. Some sites on the iPoker Network offer a maximum first deposit bonus of €100, and considering that you will be putting in a lot of action at the cash game tables if you want to complete the “Path to the Holy Grail”, investing your time and money at a site with a larger first deposit bonus will be more worthwhile. 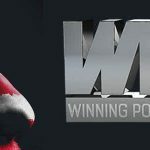 For this reason we suggest opening an account at William Hill Poker where – if you use the William Hill Poker bonus code “BONUSWHP” – you will be eligible for a 100% first deposit bonus up to £1,200/€1,500/$2,000. New players also benefit from a Welcome Package that includes a non-contributory casino bonus, entry into a Gifts Palooza freeroll tournament, and a head start in the William Hill VIP Loyalty Club.